Melanie Augustin, formally known as Kimono Reincarnate creates beautiful pieces by combining vintage kimono fabrics, Japanese cottons, silver, crystal clear resin, bamboo and brightly coloured, laser cut acrylics. They also come beautifully packaged….making them the perfect gift. 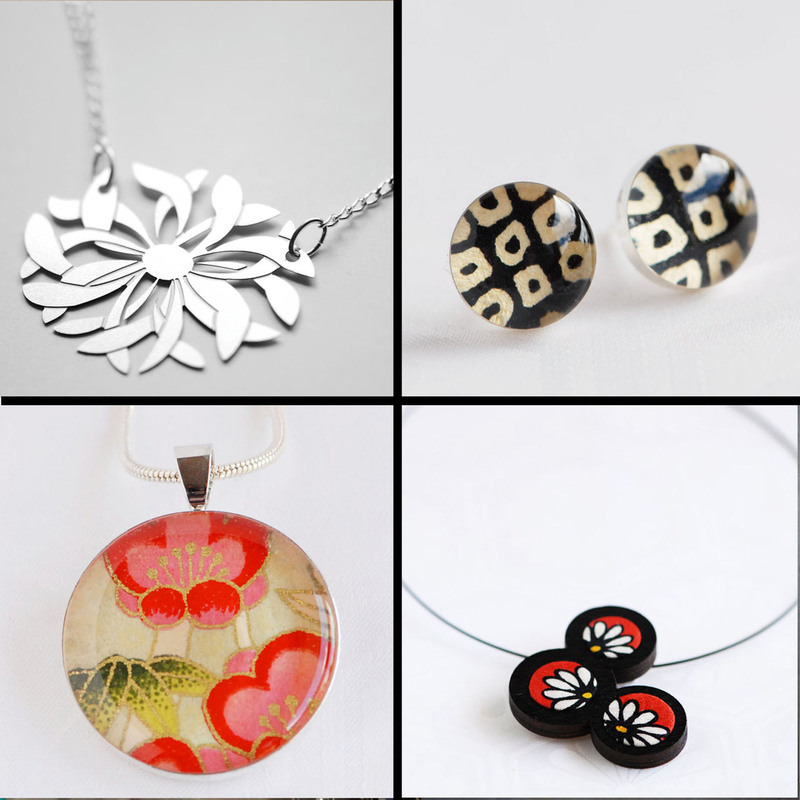 TOP LEFT: Inspired by the streets of Tokyo where modern and traditional clash in harmony.This delicate chrysanthemum has been fashioned from industrial stainless steel and hung from a sterling silver chain. BOTTOM RIGHT: Zen brooch/necklace. These necklaces are made from sustainable growth bamboo, to reflect the bamboo groves of Kyoto. The wood has been laser cut for precision and then hand coloured. Tiny pieces of vintage kimono fabric have been carefully inserted to create the colourful pattern. We also have other pieces available.